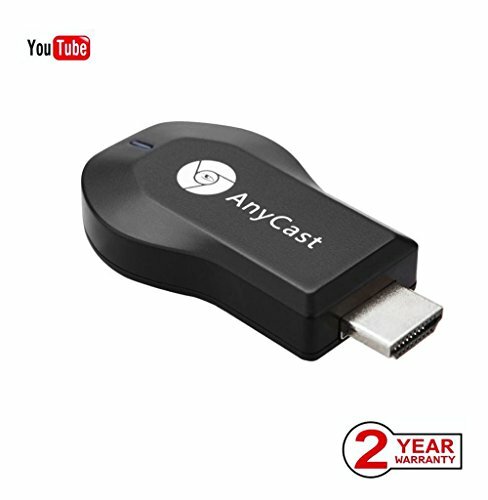 The Anycast display dongle is a small wireless HDMI adapter that plugs into the HDMI port of any screen or projector, projects your mobile phone/MID/Notebook to another big screen through WIFI connection, under the popular standards like DLNA, Miracast and Airplay, to make you enjoy excellent multi-display sharing. We are 100% responsible for any loss from our customers. If this item cannot work properly, please contact us for a replacement or getting full refund after return. Thanks a lot. If you have any questions about this product by Ambibull, contact us by completing and submitting the form below. If you are looking for a specif part number, please include it with your message.